It’s a good idea to authenticate any collectibles you buy on eBay. Some companies provide the service of authenticating (verifying that it’s the real deal) or authenticating and grading (determining a value based on the item’s condition and legitimacy). To have these services performed on your items, you’ll have to send them to the service and pay a fee. 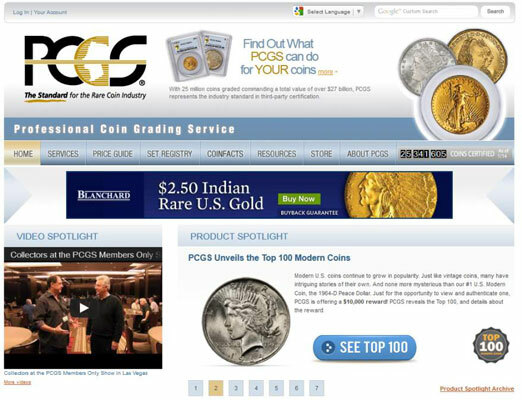 Professional Coin Grading Service (PCGS): This service is considered to be the top of the line in coin grading. This company’s standards are strict, but coins graded by PCGS usually sell for higher prices. To catch up on the latest pricing on American coins, go to PCGS. This site has an elaborate online price guide for all coin grades. American Numismatic Association Certification Service (AMNACS): This service was sold to Amos Press in 1990. Numismatic Guaranty Corporation of America (NGCA): The site offers information as well as a mail-in grading and certification service for your coins. PCI Coin Grading Service (PCI): PCI, the longstanding coin-grading service is under new management. Stamp collectors (or those who have just inherited a collection from Uncle Steve) can get their stamps authenticated by the American Philatelic Society. For comic books, Comics Guaranty, LLC (CGC) will seal (enclose in plastic to preserve the quality) and grade at a discount for eBay users. The best way to find a good authenticator in your field is to search the items on eBay and see who is the most prominent authenticator listed in the descriptions. For example, in the coins area, coins from certain grading services get higher bids than those from other services. You can also go to an Internet search engine (such as Google or Yahoo!) and type the keywords coin grading (for coins). You’ll come up with a host of choices; use your good sense to see which one suits your needs. Not all items need to be officially authenticated. Official authentication does add value to the item, but if you’re an expert, you can comfortably rate an item on your own in your auctions. People will know from your description whether you’re a specialist. Your feedback will also work for you by letting the prospective bidder or buyer know that your merchandise from past sales has been top-drawer.